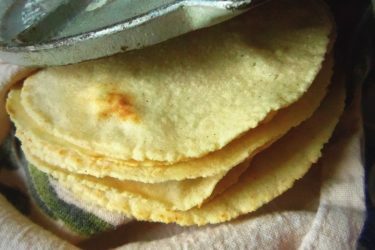 Tortillas, quesadillas, gorditas and sopes are just a few of the Mexican recipes you can prepare using masa harina corn flour. Lucky for me, it has become readily available in my area and I use it often. Besides preparing my holiday tamales for friends and family, masa harina is great for soups and stews as well. It’s naturally gluten-free and a great alternative when you need a thickener. I like adding it to my pork chile verde and beef chili recipes for a quick thickener and a subtle corn flavor. In this post, there are easy directions to recreate four popular Mexican recipes in your own kitchen. In a glass bowl, combine chiles and cover with water. Cook on high in microwave for 6 to 7 minutes. Drain water, transfer to blender and add 2/3 cup fresh water. Blend until smooth. In a large bowl, mix all of the dry ingredients and gradually add 1 cup warm water and reserved chile puree into the dry ingredients. Mix until dough forms, drizzle in olive oil and mix until masa is smooth. Roll 12 to 14 equal masa balls. Keep covered. Line a tortilla press with a quart-size freezer bag, cut to fit. I always leave the bottom seam intact and cut out the sides, trim down the top. Press tortillas and cook for about 40 to 50 seconds per side, turning 3 times. You want the tortillas to puff slightly, but it does not happen every time. Transfer to a kitchen towel to keep warm and moist until done. To store, cool completely ans store in plastic storage bag in the refrigerator. Reheat on hot comal or griddle pan. Roll 12 dough balls. Press just like you would the tortilla. 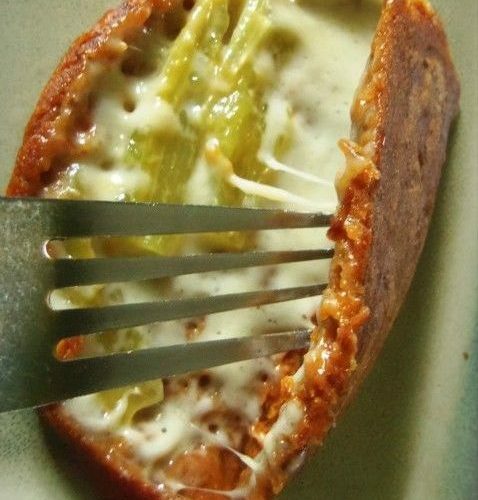 Fill one half with cheese of your choice and rajas (roasted chile strips). Using the plastic, fold over and seal the edges slightly. Cook on preheated comal or griddle pan for 3 minutes per side. Brush with oil and continue cooking, turning as needed, until crispy. Carefully open them and add your favorite salsa. Garnish with lettuce, thinly sliced onion and more cheese. 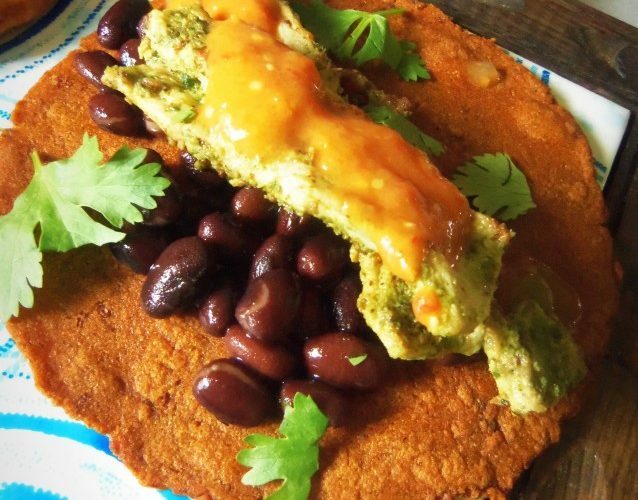 In San Luis Potosi, Mexico, they prepare a similar dish like this called Enchiladas Potosinas. Roll out 6 large size masa balls. 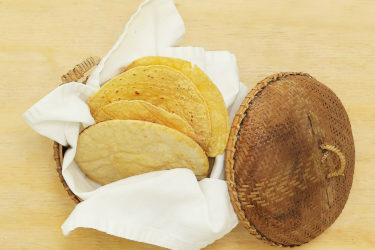 Using a lined tortilla press or heavy plate, gently press and form the gordita. You want it to be 1/2-inch thick. You can use your fingers to build up the edges slightly. I leave the gordita right on the plastic and turn and using my thumb and forefinger build up the edges. These will cook for 2 to 3 minutes per side on a preheated griddle or comal. 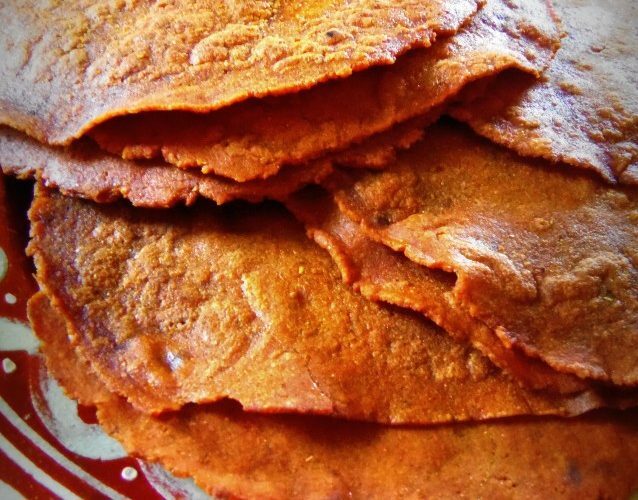 You can eat them as is or you can lightly fry them to create a crispy and more traditional gordita. Using a small sharp knife, carefully slice them open on one side. Fill with your favorite fillings like beans, carne guisada or spicy shrimp. 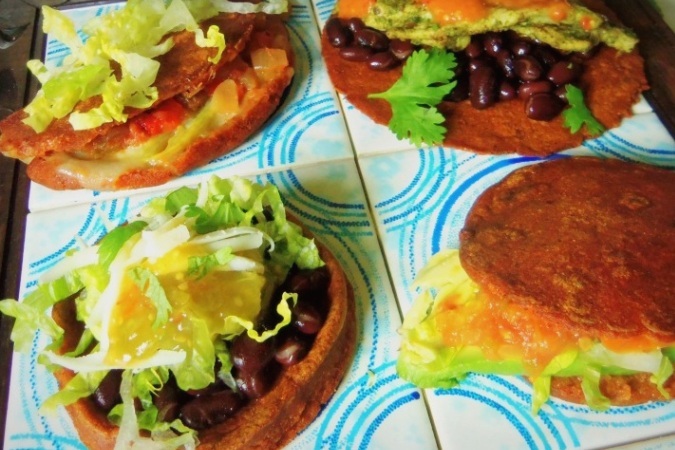 You will prepare the sopes the same as when you make the gorditas. 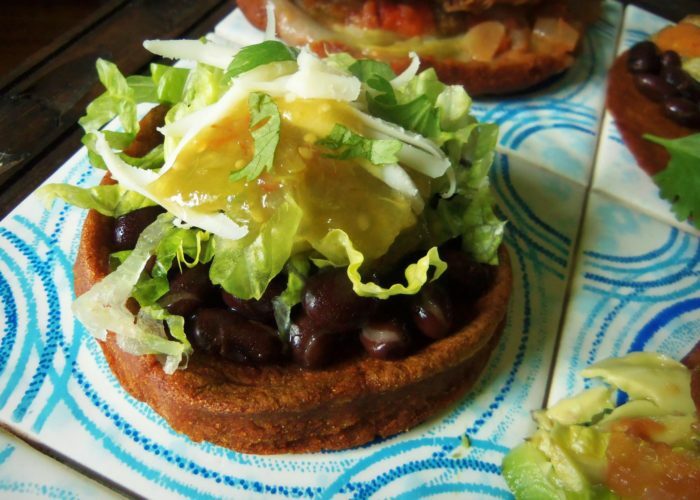 The only difference is that while sopes are still hot, take a paper towel and lay it on top. Use your fingers to build and pinch the edges up all the way around. The paper towel will keep you from burning your fingers. 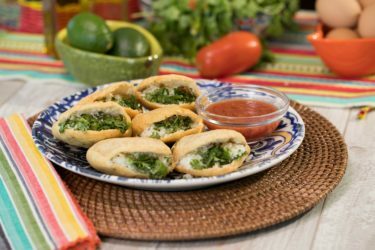 Just like the gorditas, you can lightly fry them for a crispy finish before serving. Fill centers with your favorite fillings and garnishes. I will often prepare a batch of masa and keep it in the refrigerator for a couple of days. This makes it easy to enjoy fresh tortillas, quesadillas, gorditas and sopes any night of the week.